According to the Williams Institute, about half of lesbian, gay or bisexual people identify as bisexual, which makes bisexual people the largest single group within the LGBT community. Yet in my 14 years of LGBT activism as an out bisexual, I could count on one hand the number of openly bisexual people I knew before I connected with the bi advocacy community last year. And like many of my fellow bisexual advocates, I’ve experienced biphobia more often from lesbian and gay people and in LGBT spaces than I have among non-LGBT people. The Scottish organization, Equality Network, released a report this week detailing the experiences of bisexual people in the UK, showing that bisexuals feel unsupported and unaffirmed both in LGBT spaces and non-LGBT spaces, and that they have difficulty connecting to the bisexual community. 85 percent of respondents only felt “a little” or “not at all” part of a bisexual community. 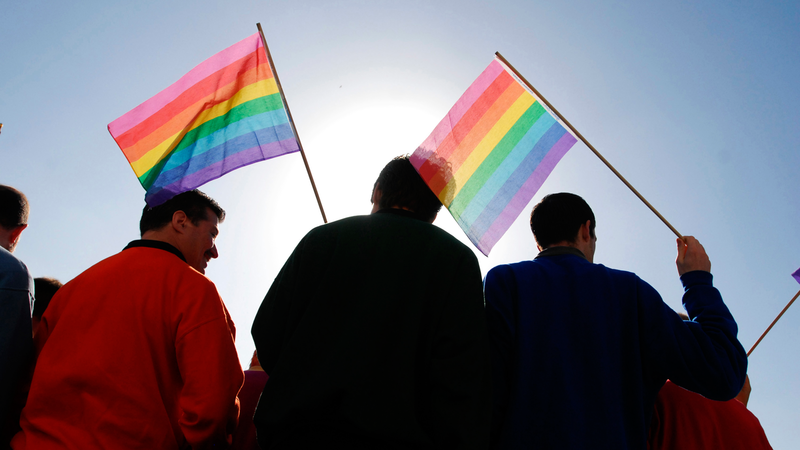 66 percent of respondents only felt “a little” or “not at all” part of the LGBT community. 69 percent of respondents only feel “a little” or “not at all” part of a straight community. 25 percent of respondents were not usually comfortable sharing their sexual orientation when accessing LGBT-related services. Only 33 percent of respondents usually feel comfortable and 28 percent never feel comfortable sharing their sexual orientation with their general practitioner. 66 percent of respondents feel that they have to pass as straight and 42 percent feel they need to pass as gay or lesbian when accessing services. For those of us who identify as bisexual, these findings are sadly not surprising. Even with significant momentum when it comes to visibility of others in the LGBT community, bisexual people are often assumed to be straight or gay based on where we are and whom we are with – and thus our identities are erased and we become invisible even to each other. The Equality Network’s report once again proves what bisexual youth and adults already know – that biphobia is real, that it’s rampant both within and outside of the LGBT community, and that it hurts bisexual people in profound ways.